The Luncheon Lecture Series is our signature event. Every month (except July), we offer a stimulating technical talk by an accomplished researcher, accompanied first by a short socializing/networking session (with award-winning craft brews available for purchase) and a delicious lunch. 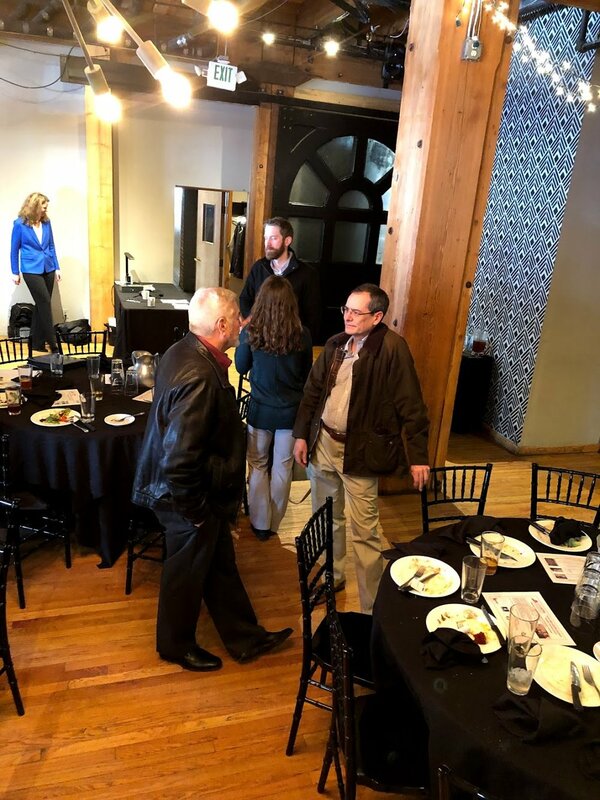 The luncheons are held at the Wynkoop Brewery in historic Lower Downtown (LoDo) in Denver, Colorado — one block from the Union Station transit hub. If you would like to present your work, or know of someone who you would like to suggest, please let us know! Fill out contact form at bottom of the page. NO SHOW RESERVATIONS, NOT RE-ASSIGNED TO WALK-INS, WILL BE BILLED.